O'Neill, Avery, & Moiso families' 23,000 acres (93 km2) Rancho Mission Viejo cattle ranch, which was the largest remaining working ranch in Orange County. Five of the nine villages have clubhouses themed on a particular architecture style that is emphasized within that village. There are also parks, pools, playgrounds and open areas within each village. 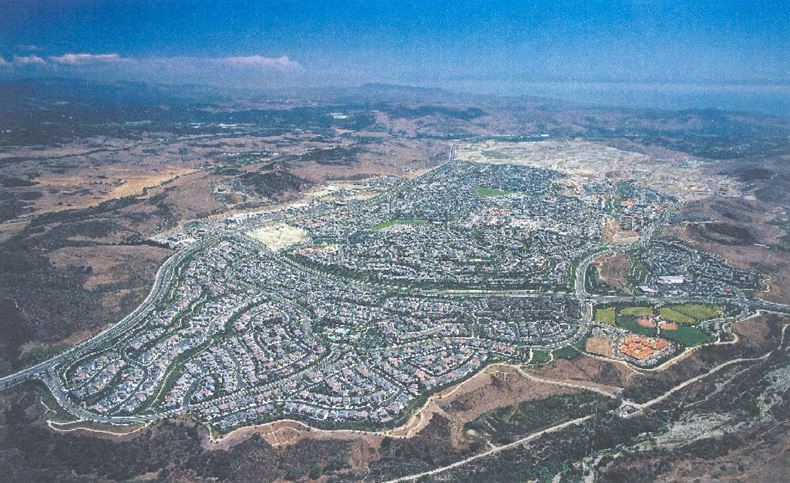 The Covenant Hills village is a gated community which is closed to the general public, but accessible to all card-carrying residents of Ladera Ranch. There are no other gated villages in the community. In addition to the various clubhouses, the community has a private water park and skate park, 18 community parks, Wagsdale dog park, six smaller neighborhood pools, many pocket parks and green belts, shopping districts called Mercantile East and Mercantile West Shopping Centers, and miles of hiking/biking trails that connect to Doheny Beach.